Sand is a lousy traction agent. Unfortunately, some areas of the country still find contractors using sand as the preferred method of dealing with slippery conditions. 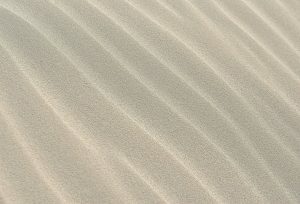 The few in-depth studies done on the use of sand do not indicate this practice is valuable. If one applies “substantial amounts of sand” to a paved surface, then it must be cleaned up eventually. The expense associated with such cleanup (pavement, grass, catch basins and even storm sewer systems) can be exorbitant – thus negating the perceived savings of using a very cheap substance (sand).